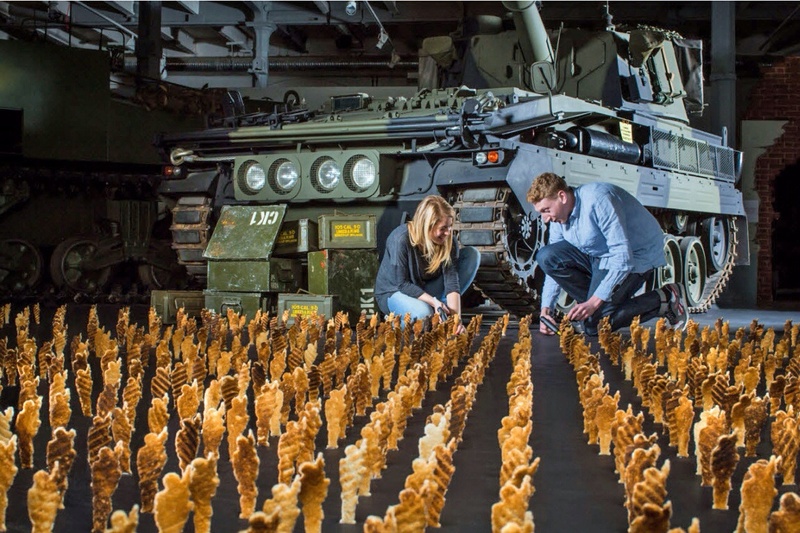 A TOAST Army made from 1,000 identical soldiers has been unveiled at London’s Royal Artillery Museum. The world-first has been created by charity brand Eggs For Soldiers to mark March Fourth – its annual fundraising event in support of Help for Heroes. Eggs For Soldiers has raised almost £1m for the charity to date, donating 15p from every box sold. The ‘Toast-A-Cutter Army’ has been made using bespoke toast cutters to create figures that are the perfect size and shape for dipping into boiled eggs. They resemble modern-day soldiers, complete with bed roll, distinctive British Army helmet and combat clothing. It took a team of five designers more than 16 hours to create by hand using almost 80 loaves of stale bread.